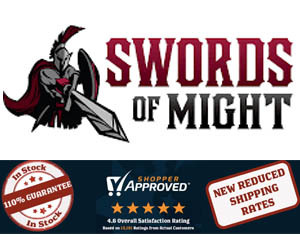 Ryujin Swords Custom Samurai Swords Reviewed! 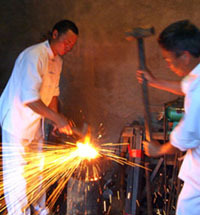 Many people want to buy Custom Samurai Swords. 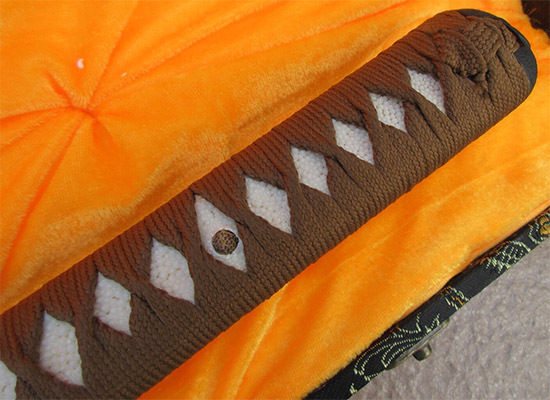 After all, when you buy a Samurai sword, you often have to settle for a design that has some features that you don't necessarily like. 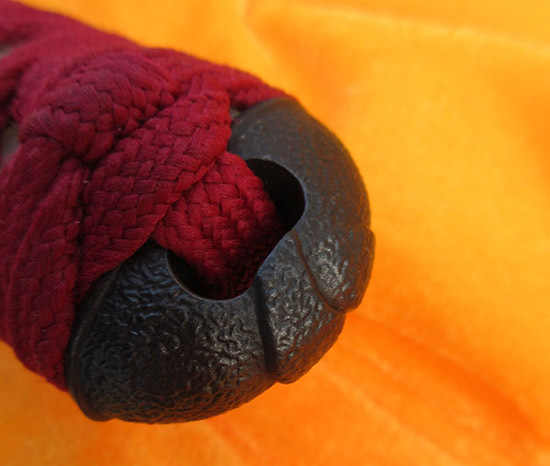 Maybe you wish it had a different tsuba, or a different colored ito handle wrap. Maybe you don't like the saya/sheathe. But because it is a good cutter, you put up with it..
Until now, the options for custom Samurai swords were fairly limited. You could take your chances with some Chinese based eBay sellers, but rarely would they get everything right - and it took time.. Sometimes much longer than what you were quoted when you purchased. 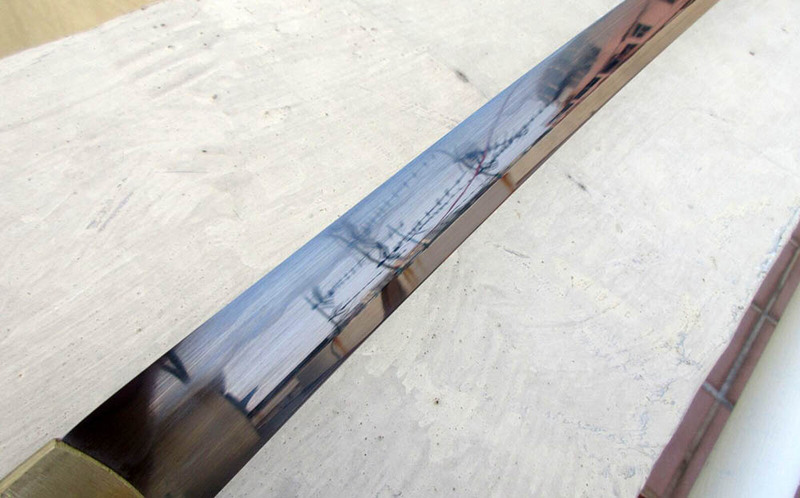 Our original answer was the SBG custom katana, but while we took pains to make sure the customizations selected were right, again it still took time - and often ran into delays..
Sam Sung, one of the founders of Musashi Swords, realized this issue - and during a time when we ran into significant unexpected delays on our own line of custom Samurai swords, contacted me to suggest he had found the solution..
His revolutionary idea? To create a line of high quality T10 tool steel differentially hardened Katana that were assembled to order in the USA and could be shipped to the customer WITHIN A WEEK!! Naturally, I was extremely excited by this idea. 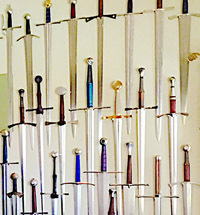 And soon enough, we met up to discuss it in detail in Hong Kong after I had tested the swords to see if they could achieve what until now, had been but a pipe dream..
Part of the fun was designing the swords I was going to test. As there were three main variations possible as far as the blade was concerned, I ordered one of each - a standard T10 tool steel blade, the high polish version and a Sanmai laminated blade..
Sam actually tried to dissuade me from the Sanmai version, as he knew as well as I did that low cost laminated blades - like folded steel Katana - tend to weaken what would otherwise be good steel and was only really suitable as a decorative piece. 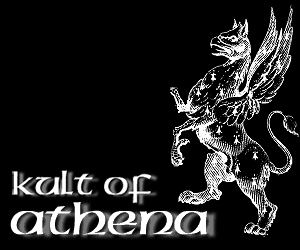 But for the sake of the experiment, I went ahead and ordered it anyway. 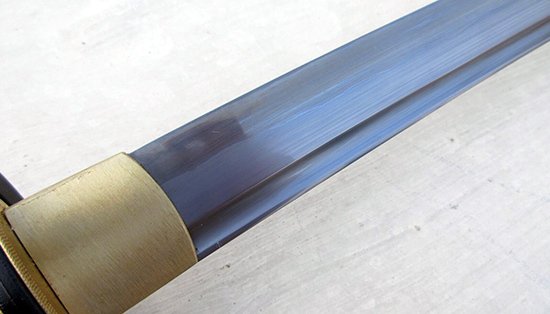 Now each of the three custom Samurai swords I designed for the testing and review could be mixed and matched, but I wanted to see as many of the different available fittings as possible. So ignoring the blades for a moment, let us take a look at the Koshirae. 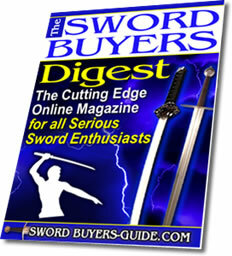 The first sword we will look at is the most basic - basic fittings, basic entry level blade - basic everything. The handle was brown cotton ito over real rayskin, nice and long at 11" and decently shaped. The fittings were solid iron and nicely assembled - all very tight and solid feeling. The rayskin was not the best quality I had ever seen, but at least it was real and perfectly acceptable considering the price point. The menuki ornament was attractive and suited it well. The iron tsuba I selected had a pattern on it when I selected it but as you can see, with no highlighting was kind of hard to make out. Nothing wrong with it per se, it was solid iron, properly assembled, etc - just hard to make out what it was depicting. My only complaint with the whole assembly was that the ito wrap, while alternating, had somewhat even diamonds and here and there you could see some of the wooden handle peeking out near the second mekugi peg. Not bad, but the diamonds could have been done better.. It was not loose in any way, and the wrap was alternating in the traditional style. It just not perfectly formed - a common cosmetic issue at the sub $300 price point to be sure, and not a deal breaker, but it was what it was. 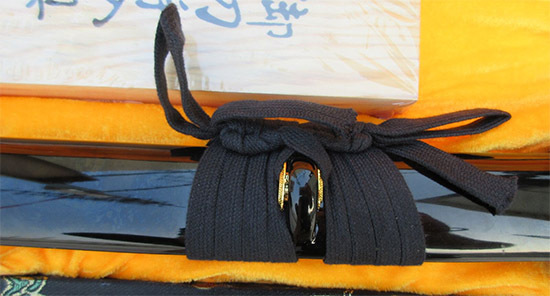 The saya I selected was the most basic - black lacquer and came automatically with very simple black sageo. Decent fit and finish, and nothing too exciting - but all in all quite acceptable. 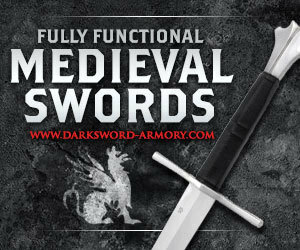 But the second sword was designed to be a big step up, both in blade and in fittings.. Here is a pic of the sword in the display box. 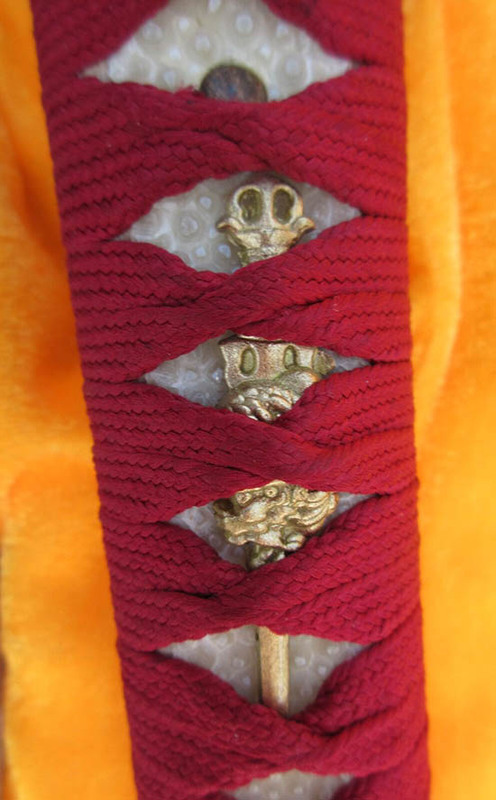 The fittings selected for this sword were leather ito wrap with the same selection of tsuba options however gold plated.. The leather ito was, in my opinion, something of a fail..
Hmm, looks better from a distance.. It felt comfortable enough in the hand, and was tightly wrapped enough - but the suede underside was exposed under the twists - which looked ok from a distance, but was quite unsightly compared to other leather ito wraps I have seen using hishigami and in hindsight, I would not have selected it had I known it looked like this..
Now THAT Tsuba looks MUCH better...! Unlike the plain embossed black iron tsuba where the detail was pretty much impossible to make out, this style of tsuba, though expensive to produce (after all, this is REAL gold) really does make the whole design POP (and thankfully, takes the eyes focus away from the ugly looking leather tsukamaki!). 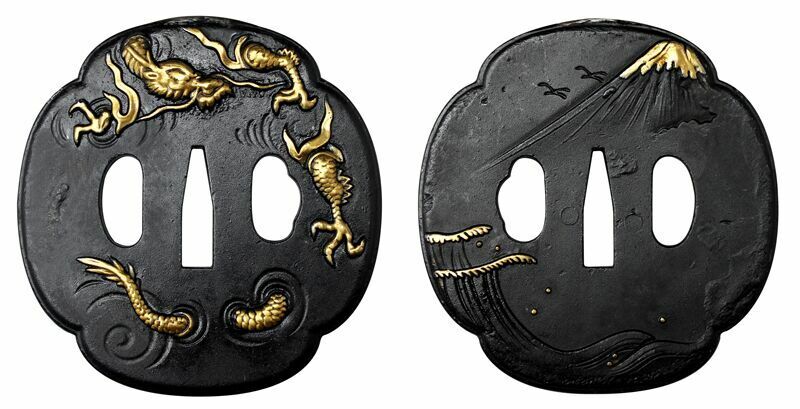 Here is a picture of just the tsuba - front and back. 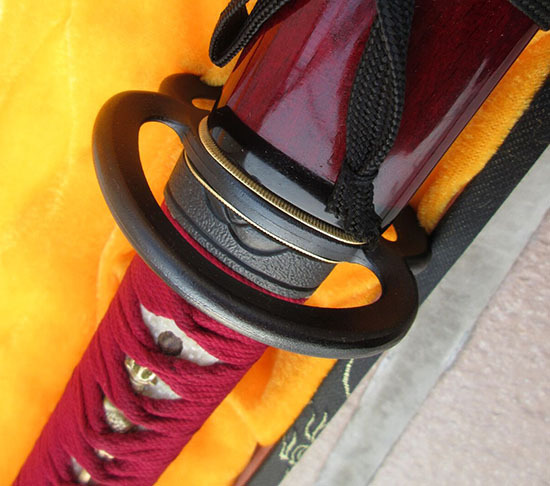 The third sword, the Sanmai laminated Katana, I selected a classic Musashi style tsuba, red ito tsuka and a red saya with mother of pear inlays. Always pretty much impossible to go wrong with a sturdy iron Musashi style tsuba.. Unfortunately, the synthetic silk ito while tightly wrapped still had some minor cosmetic flaws much like the first sword - exposing some wood here and there under fairly low grade (but authentic) rayskin panels and looks good from a distance, but close inspection was a little bit disappointing.. 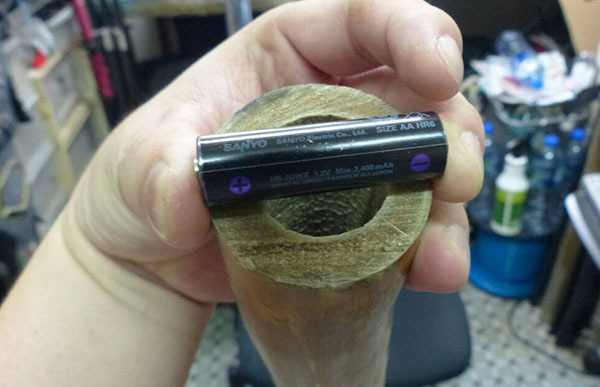 Some wood peeking out here and there, slightly uneven wrap..
On the positive side, the ito itself was pretty good quality and the end knot decently and firmly tied to the kashira - which like all the fittings was solid iron. What looked the nicest though was probably the saya - both in terms of the quality of the glossy lacquer and the attractive shimmer of the mother of pearl inlays.. Overall with regards to the fittings at least, cosmetically they were a bit of a mixed bag - some looked really good and others quite average at best - but at least they were all very tightly assembled (these custom Samurai swords are actually assembled in house in Los Angeles, rather than at a Chinese forge, which seems to make a difference). At least I had a good idea what to use and what to avoid next time around. 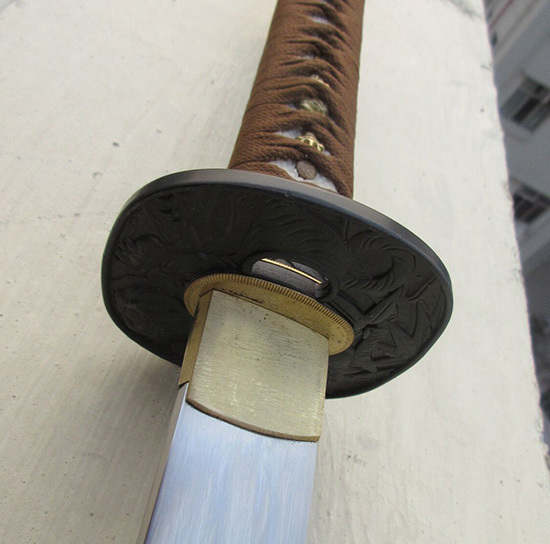 But enough about the fittings, lets take a look at the blades..
Now as you know, the custom Samurai swords I had made were one of each main type available from Ryujin Swords - a basic T10 differentially hardened Katana, an elite version with high polish and Choji hamon and a Sanmai laminate Katana.. Here I will look at them in order from worst to best - because the one that jumped out at me (in a bad way) was the Sanmai Katana..
Now Sam had already told me not to expect too much from it - and from my own years of experience dealing with low priced Katana, I know from bitter experience that it if you had - for example - two swords below $300 and one of them is differentially hardened and the other has MORE processes done, such as Folded and Differentially Hardened, Laminated and Differentially Hardened or - most terrifying of all - Folded, Laminated AND differentially hardened - you should ALWAYS pick the most basic one if you want anything you can actually cut stuff with.. The grim reality is, each process has a high chance of ruining what would otherwise be a perfectly good blade. 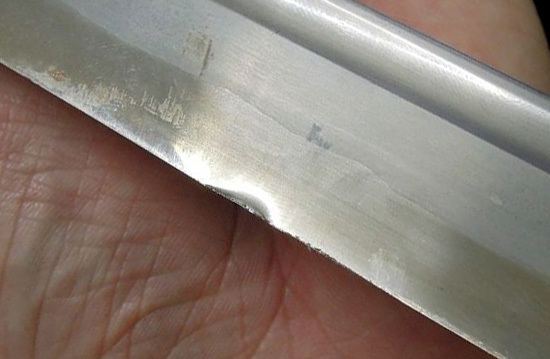 A differentially hardened Katana will CRACK when being heat treated at the forge and they have to throw them away. To get one good blade, as a rule you need to make 2..
A badly forged folded blade has micro airpockets - a badly laminated blade, bad weld lines AND micro airpockets - so when you are talking low cost entry level swords - less is almost always more..! Decent folded blades are hard to make - laminated ones even harder - and it was clear just from visual inspection that the first of my custom Samurai sword was nothing more than an expensive wall hanger.. I wasn't able to photograph it so well, but the first lamination line was quite wide and clear..
Ok, so far so good. 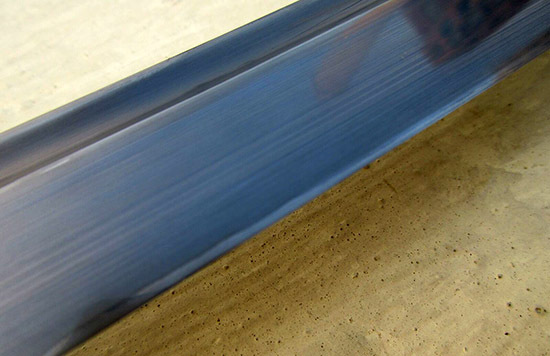 Lamination lines nice and wide.. Turn it over though and you can clearly see that the other side was EXTREMELY close to the edge..
Talk about uneven! That is waaay to close to the edge for comfort.. This was to me a total fail from the get go, and I was (wisely as it turns out) reluctant to do any cutting with it. The second of my custom Samurai swords however, was (thankfully) a big improvement..
Now hamon are notoriously hard to photograph at the best of times, so I will present it as I was able to photograph it in a hurry on a cloudy day in the late afternoon (left) and a comparative studio quality photo of the same T10 differentially hardened blade (right) so you can see the thing clearly (click on the pic to bring up a large image gallery). While it is VERY subtle, this is a good thing as it means that it is definitely real (fake hamon at under $300 look more prominent) and could be brought out with some hybrid polishing if you wanted to take it to the next level, making it a great entry level cutter and project piece. It was also very sharp, and we tested it with Rockwell hardness files and determined that the cutting edge was HRC 60 and the spine in the low HRC40s - which confirmed it was differentially hardened and that the hamon, however subtle, was indisputable. 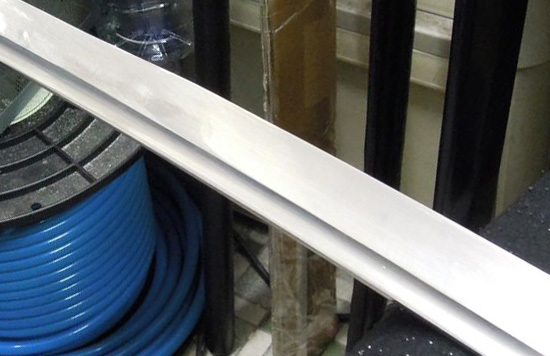 The high polish sword however, well - that needed no special lighting to see the hamon..! 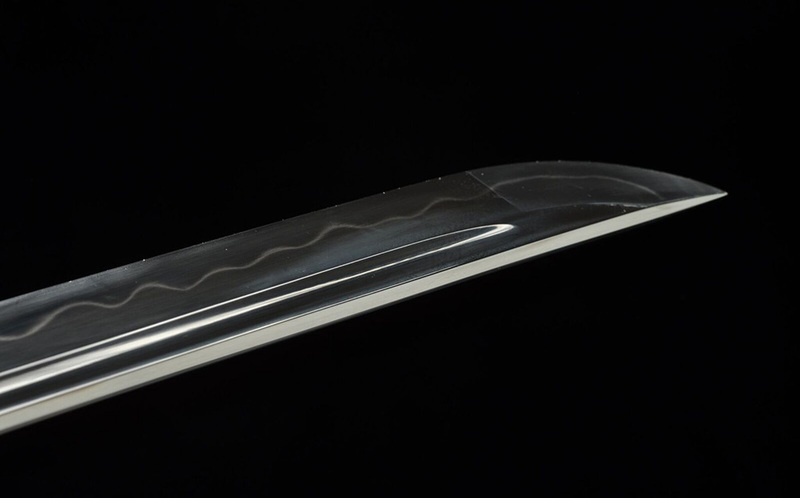 Indeed, it was one of the most prominent and attractive hamon I have seen on any sword and was also in the rare Choji style - which look like rolling clouds and has a lot of blade activity..! Stunning natural Choji midare hamon! Geometric Kissaki with excellent Boshi - awesome work! 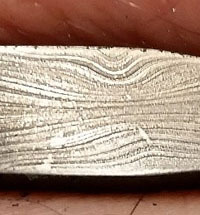 Again, we tested it with Rockwell hardness testing files and found it had a HRC of approx 65 at the edge and low 40s at the spine - confirming again it was no cosmetic fake but the hamon was the result of claying and differential hardening. 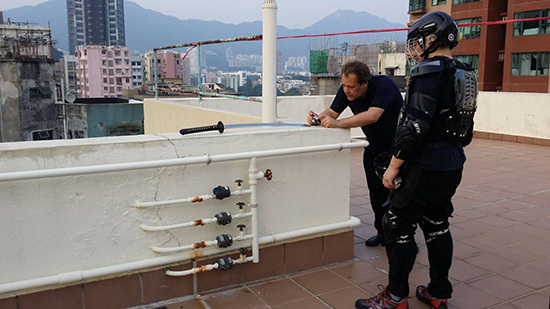 It was also sharper than the standard T10, which meant being slightly harder and sharper may potentially be more brittle on hard targets..
We tested my custom Samurai swords on a rooftop in Hong Kong along with three people, Lancelot Chan, his sword student Anthony Choi and yours truly, so we were able to get a wide range of skill levels - Lancelot, an advanced cutter and full time swordsman, Anthony - intermediate - and me, the average unskilled, self-taught backyard cutter. The first targets were water filled bottles - which as expected any Katana worth its salt can make short work of - even the doubtful Sanmai wallhanger (though it did splash water in my eye, maybe it knew I had contempt for it).. 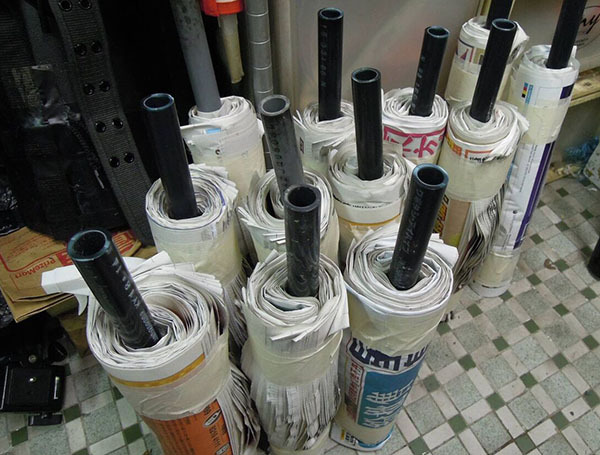 The second targets were tatami mat substitutes - basically soaked newspaper rolls tightly wrapped around PVC pipes. 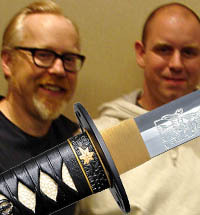 Anthony even used one of his own Custom Samurai swords from a friend of Lancelot in China, Big Uncle, and found much to his surprise that the Ryujin sword "actually cut better" - and the swords made short work of the targets taking no blade damage, bending or even cosmetic blemishes.. So we upped the ante several times with some SERIOUSLY heavy duty grade, super thick bamboo typically used for scaffolding..
Super Thick Heavy Duty Grade Bamboo! I didn't even bother using the Sanmai sword - but the other two custom Samurai swords were used alongside Big Uncles Nodachi and the Kesshi Katana (reviewed here) by the imperial forge which is 6 to 7 times the price.. The result? 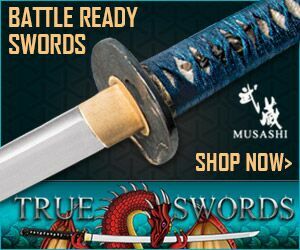 The two Ryujin custom Samurai swords outperformed every blade - even the Kesshi - by leaps and bounds - and everyone, including myself - was pleasantly surprised. You can see what I mean with the 3minute youtube video below..
As you can see in the video, we also tested the blades on free hanging pork legs, ala Cold Steel. But unlike Cold Steel, we were cutting the thick, super dense leg bones.. This was my first time cutting pork legs and I was a little shocked by how hard they felt when they were cut - almost like trying to cut stone.. There was no doubt about it, this was durability/destructive testing.. 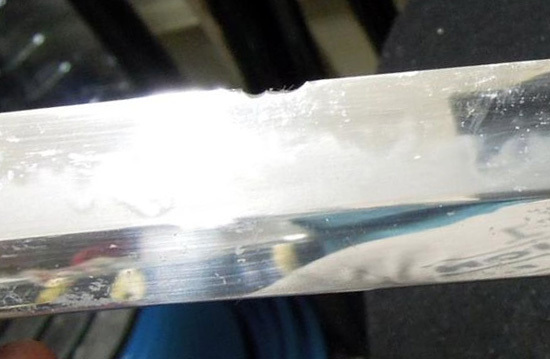 Indeed, the Imperial Forge Kesshi Katana (MSRP $1,400) suffered considerable edge damage.. And not surprisingly, the Sanmai katana also suffered - though to a greater extent, with a nasty rolled edge.. So how about the two Ryujin custom Samurai swords that had outperformed every other blade up to this point? The results, were very, very interesting - and rather surprising..
Now as I mentioned, this is abusive testing - pig bone is considerably thicker and denser than living human bone - which is of course what every katana was historically specialized to cut and is, so the historical record goes, is best approximated by cutting green bamboo..
One of the two remaining custom Samurai swords suffered a slight chip during one of the many cuts we performed with them. Which one? Well, here is the surprise.. It turned out that the least expensive of the two katana was the MOST durable! Why? 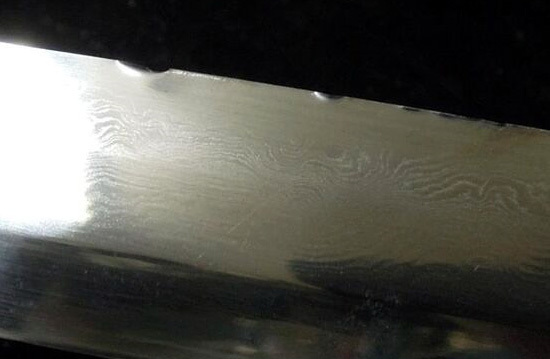 Well, the edge hardness was a clue - the HRC of the High Polish Choji Katana was 5 Rockwells harder than the basic model. 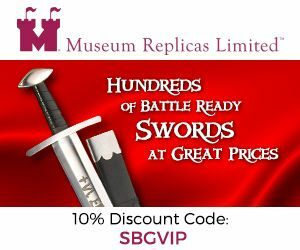 But this is GREAT news for people who are after a user sword at a low price point - as in this case, the less money you spend, the better cutting sword you get..! 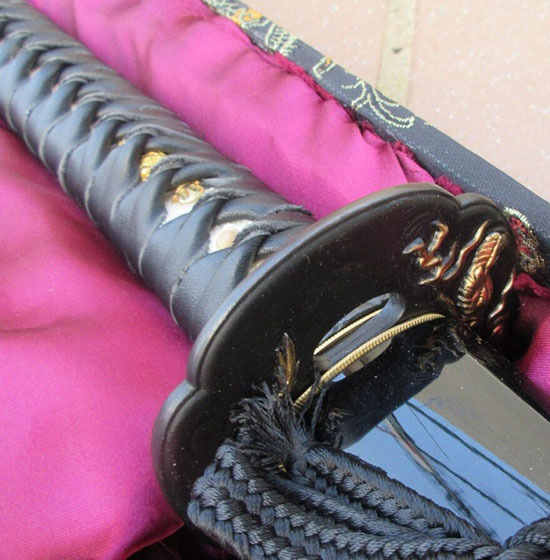 These custom Samurai swords by Ryujin were full of surprises - but there were some consistent themes. The first was that, the most basic sword was the most durable of the three, the most fancy - the Sanmai - the least useful - and the high polish Elite Katana was the best balanced between cosmetics and functionality (yes, it took a chip after several cuts on the pork bone - but it also cut the super hard bamboo without taking so much as a scratch where many lesser blades would either break, chip or simply fail to cut through).. The fittings - they were a mixed bag too - in this case the basic fittings were really quite plain, but the higher end tsuba - they really looked great. The good news was though that they were, across the board, nicely assembled in house in the USA - and the even better news is that, because they are already made and all that needs to be done is to assemble them in YOUR choice of fittings, you can get custom Samurai swords on their way to you within a week with no customs hassles, duties, extensive wait times, etc. And this to me, well - it adds some SERIOUS value.. 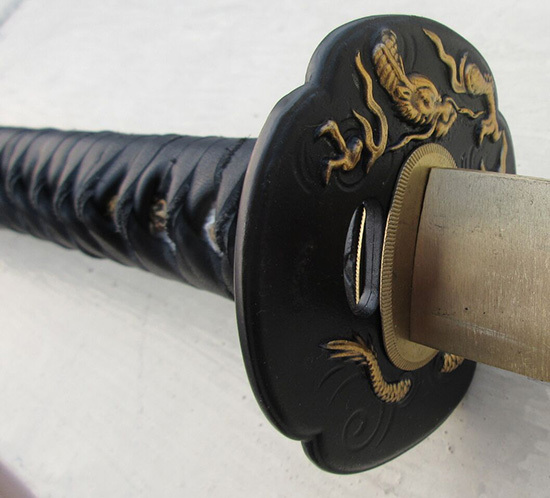 In short, knowing what I learned from seeing them first hand and testing them to their limits - this makes the Ryujin custom Samurai swords some of the best value for money Katana currently on the market. 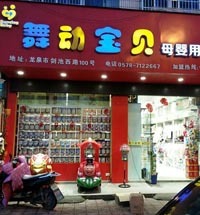 The only drawback will be - will the supply be able to meet demand.. Cheapest blades turned out to be the BEST! Customization options with practically no waiting and no hassles - a huge innovation! Tsukaito wrapping is a bit ugly looking with uneven diamonds and wood core showing here and there. 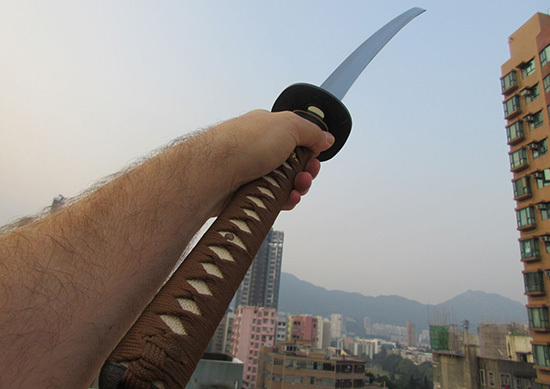 The Sanmai version was a lemon (as expected)..
Based on my experience with these swords and the available customization options - I have narrowed down a selection of only the BEST and most reliable sword types and fittings - discarding all the inferior options to create what I personally feel are the very best custom Samurai swords variations so you cannot, like I did, end up with anything less than what you might expect.. 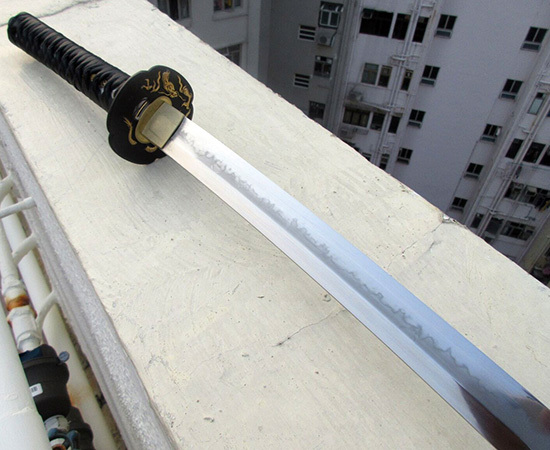 The first is the super reliable, basic Custom Katana for $299.99 (currently on special for $229.99) which provided to be the most durable and practical of all the swords we tested - available with or without bo-hi. 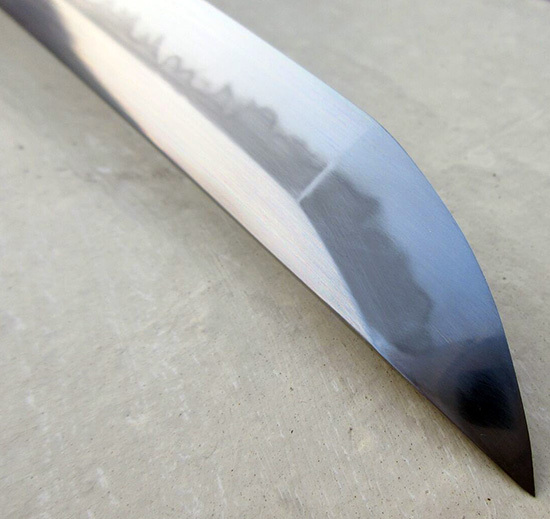 The second is the more attractive blade of the Choji Hamon version for $599.99 (on special for just $479.99). The ONLY drawback is the demand is higher than the current supply, so when you see we have a selection of blades in stock, you had better act fast..
CLICK HERE TO SEE THE CURRENT AVAILABLE OPTIONS!